1.) Cut out the basket shape out of wallpaper scraps or use my pattern HERE. 2.) Glue the wallpaper basket shape to a sheet of paper. 3.) 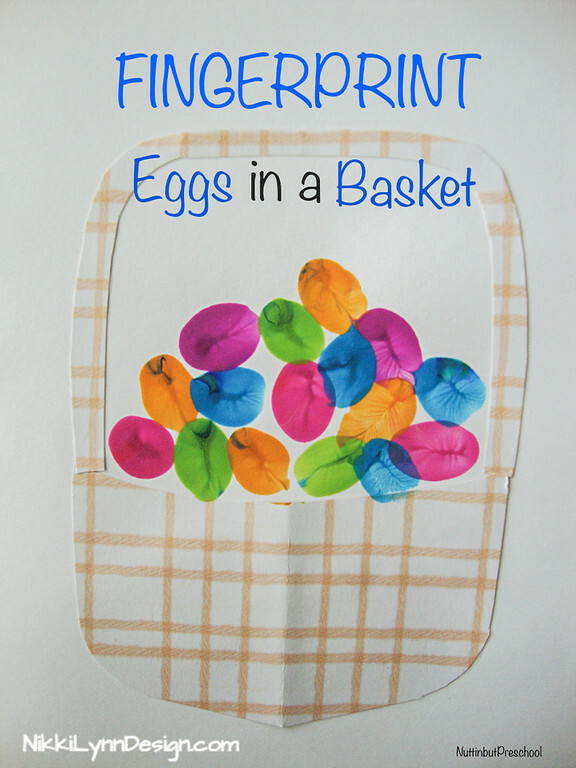 Dip fingertips in assorted colors to create eggs.